Get You Abs Rock Hard, Strong and Powerful but also Reacting to Keep Your Low Back Safe ! Core Chaos Is A Training Program Specifically Designed To Give You The Functional Core Strength & 6 Pack Abs That Work for You and People Admire! Are You Fed Up With Ab Workouts That Are Nothing But A Series Of Crunches and Leg Raises That Produce No Results or Worse Yet… Low Back Pain? Do You Want Better Balance, Coordination and Strength But Have Been Limited By A Weak Core? Have You Dealt With Low Back Pain that Traditional Workouts Offer No Relief for? Do you have love handles that refuse to go away? Tried of always having to do Ab work that gets zero results at the end of your workout? 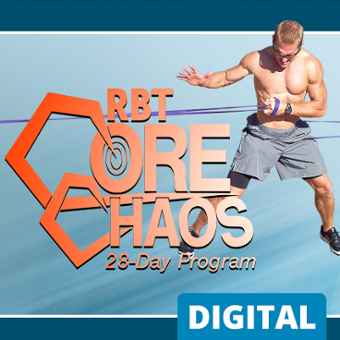 If so, the Core Chaos 28 Day Workout Program is definitely for you. Look, Feel and Most Importantly, Move Effortlessly Than Ever Before & Finally Enjoy Washboard Abs With This One-Of-A-Kind Core Training Program!